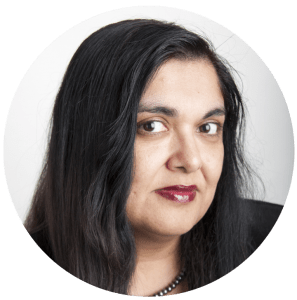 Manisha Sinha is professor and the James L. and Shirley A. Draper Chair in American History at the University of Connecticut. She was born in India and received her Ph.D from Columbia University where her dissertation was nominated for the Bancroft prize. She has received numerous awards, including the Chancellor’s Medal and the Frederick Douglass Book Prize. Dr. Sinha’s research interests lie in United States history, especially the transnational histories of slavery and abolition and the history of the Civil War and Reconstruction. She has written for many publications, published several books and numerous academic journal articles, and advised on the Emmy nominated PBS documentary, The Abolitionists (2013), which is a part of the NEH funded Created Equal film series. We talked to Dr. Sinha in anticipation of her event to discuss her recent book, The Slave’s Cause: A History of Abolition. Check out her intriguing answers below. Join her and check out the new exhibit Frederick Douglass: Agitator at the AWM on Thursday, August 2 at 6:30 p.m. RSVP here. What makes Frederick Douglass’ work relevant today? The story of Frederick Douglass and numerous other fugitive slave abolitionists is really an inspiring one and should be known to most American citizens. In seeking their own freedom enslaved men and women helped bring down an extremely powerful institution and expanded the boundaries of American democracy. I think it tells us that we can all be architects of our own liberation and confront oppression and injustice in our own times. Your book, The Slave’s Cause, chronicles the history of abolition. What is one surprising thing you learned through your research? I think what surprised me the most was how wide ranging abolitionist activism was really. I always learned that abolitionists, while uncompromising on the slavery question, ignored other problems in their society. Instead I found that many abolitionists were involved in labor and land reform movements, the women’s rights movement, the peace movements and many other causes. They were genuine radicals. Is your approach to writing journal articles different to that of writing a book? The distinction I make in writing is really more between writing articles for a popular lay audience in the mainstream press and scholarly articles in journals in my discipline. I am far more informal in my writing style for the former. Most books that I wrote before The Slave’s Cause were geared to an academic audience, including students. But in The Slave’s Cause I deliberately tried to reach a broader audience by paying a lot of attention to style while not compromising on the scholarship. On the whole, books just take a longer time and are far more arduous to write. It so happens I am re-reading a book right now that I assigned to a teacher’s institute, The Half Has Never Been Told by Ed Baptist. I think it is an extremely important book if we want to understand the history and legacy of slavery. It is also very engagingly written while being extremely informative. I think history matters, and for us to understand many things today, we should read American history. Of course, I speak as a historian! What’s your preferred snack while writing? I eat lots of fruits, nuts, and rice snacks when I write. I tend to snack a lot while writing so writing books always make me fatter! Have questions of your own? Want to hear more about The Slave’s Cause? Come meet Manisha Sinha at the AWM on Thursday, August 2 at 6:30 p.m! Space is limited, so RSVP today. This entry was posted in Blog, Events, Nonfiction, Recommendations and tagged Abolition, AWM Events, Frederick Douglass, History, In Their Own Words, Manisha Sinha, Non-Fiction, The Slave's Cause.